Considered one of the greatest and most famous samurai of all time, Miyamoto Musashi’s reputation has grown to mythic proportions over the years, despite much of his life remaining a mystery. Much of his “life” has been embellished by writers such as Yoshikawa Eiji, whose newspaper serial, and later books, titled Musashi became world wide best sellers. 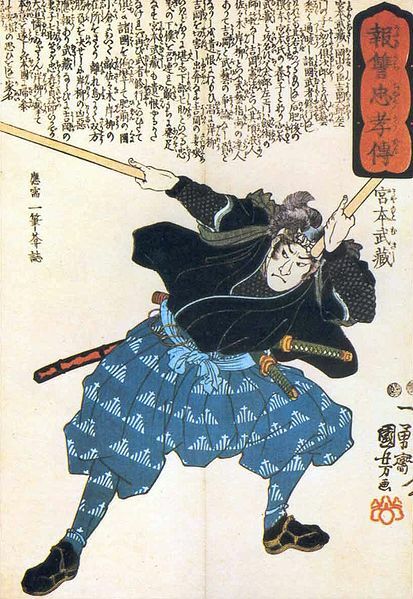 Movies, television series, even comics have been produced about Miyamoto Musashi. The undefeated swordsman, master of strategy, calligrapher, painter, writer and martial arts icon, Miyamoto Musashi was born towards the end of the warring States period. He took part in a record of over 60 battles and duels, created his own unique sword style and wrote one of the best known and widest read books on strategy, confrontation and victory. 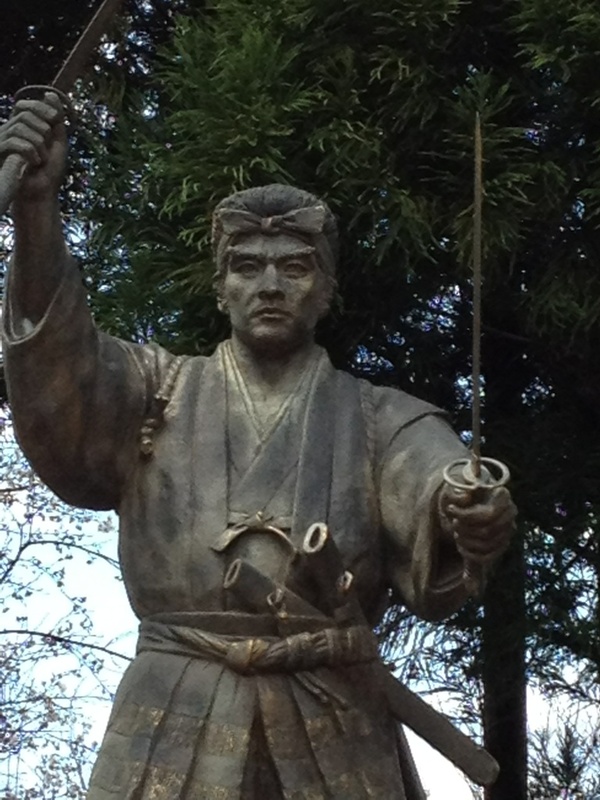 Musashi was born Shinmen Musashi no Kami Fujiwara no Genshin, with the childhood names of Bennosuke or Takezo, in the village of Miyamoto in Mimasaka, Harima Province. His mother died soon after he was born, and he was raised by his father, Shinmen Munisai, an accomplished swordsman and expert in the jitte, a baton like instrument with a side protruding hook used for blocking, deflecting and trapping swords. At a young age, Musashi was sent to live with his uncle at a temple, where he was taught basic reading and writing skills. 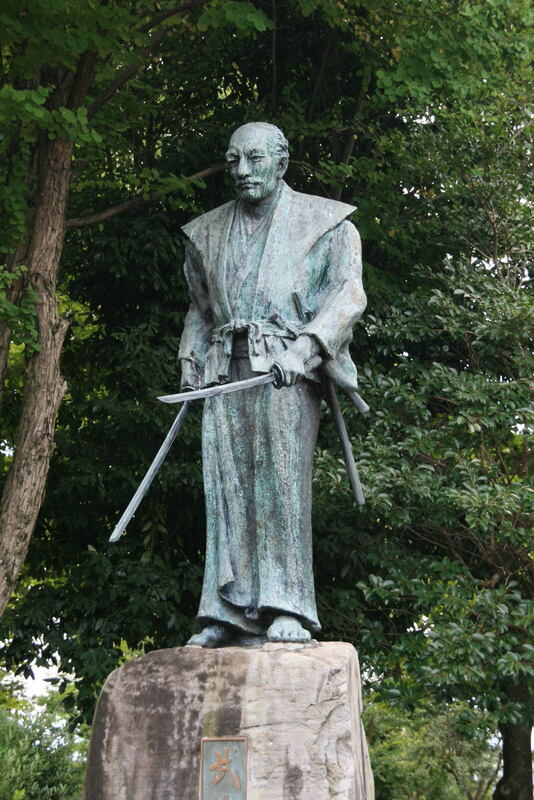 According to Musashi’s Book Of Five Rings, the “Go Rin No Sho”, and from the Hyoho Senshi Denki (Biography of the Warrior Master) Musashi had his first duel at the age of thirteen. His opponent was Arima Kihei a wandering swordsman from the Shinto-Ryu school. Musashi’s uncle attempted to stop the fight on account of Musashi’s age, however moments into the bout, Musashi threw Arima to the ground and hit him with a wooden staff. Arima Kihei died vomiting blood. At 17, Musashi is said to have joined the army of Ukita Hideie fighting for the Toyotomi loyalists at the Battle of Sekigahara in October, 1600. Following the battle, Musashi is believed to have roamed Japan perfecting his fighting skills, enduring hardships and duels in an effort to better himself. His famed bouts include duels with kusarigama practitioner Shishido Baiken. Arriving in Kyoto, the 21 or 22-year-old Musashi fought a series of duels against the famed Yoshioka Clan, respected instructors to four generations of the Ashikaga Shogun, and founders of the Yoshioka Style, one of the eight major sword styles of kenjutsu created around 1532 by Yoshioka Kempo. The first duel was against Yoshioka Seijuro, then head of the Yoshioka family and school, and took place on March 8, 1604, outside the Rendai-ji Temple in Northern Kyoto. It was to be fought with a bokuto (wooden sword) with the winner declared by a single blow. As a part of his strategy, Musashi arrived late. Angered by this disrespect, the overconfident Seijuro lost both his temper, and his concentration. 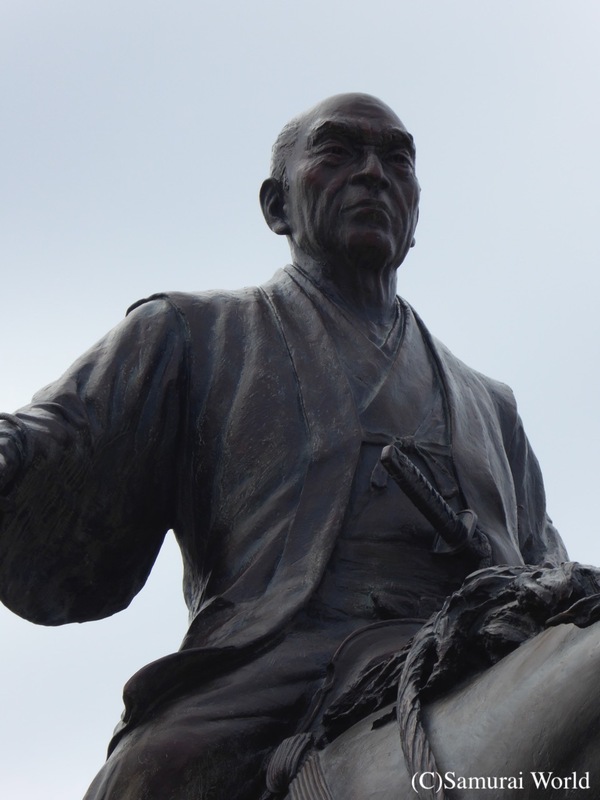 In an instant, Musashi struck at Seijuro with his wooden sword, breaking his left arm. 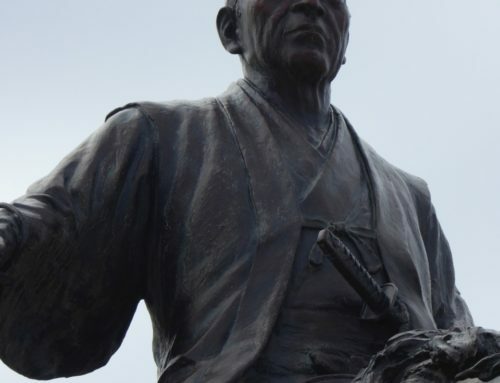 Having lost the duel to a “nobody”, Seijuro retired from samurai life and became a monk. 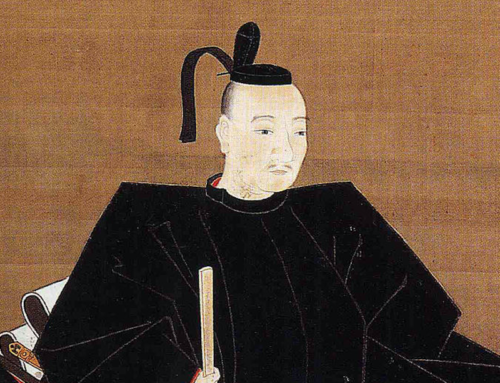 Yoshioka Seijuro’s brother, Denshichiro, then became the head of the Yoshioka clan. Denshichiro was said to have been an even more able swordsman than Seijuro, and so to avenge his brother and restore family honor, another duel was arranged. The second bout was staged at the Buddhist temple Sanjusangen-do, in Kyoto’s Higashiyama District. Musashi, armed with a bokuto once again arrived late, and again was the victor, killing Denshichiro instantly with a single blow to the head. This further angered and embarrassed the proud and prestigious Yoshioka Clan and their followers, who issued the next challenge in the name of Yoshioka Matashichiro, the 12-year old head of the clan. 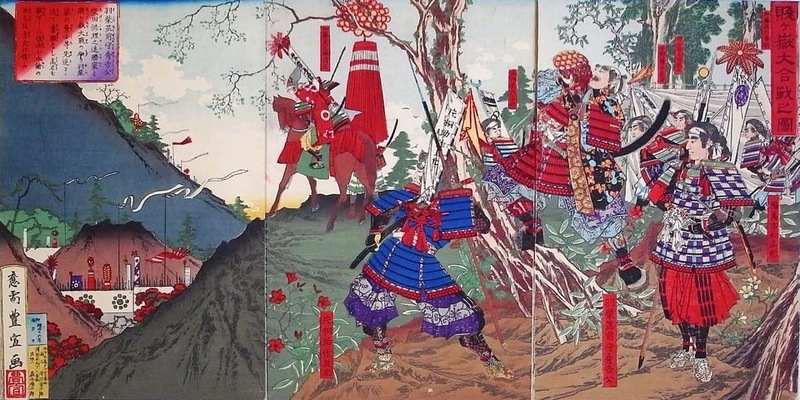 The Yoshioka honor and reputation was at stake, and so the school arranged for the following duel to be fought below the spreading pine tree on the slopes below the Ichijo-Ji Temple in the north of Kyoto. This time Musashi arrived at the designated area well ahead of time and waited in hiding. He was not surprised to find the young Yoshioka leader dressed in full battle armor and surrounded by a large contingent of retainers armed with swords, bows and matchlock guns. Musashi waited patiently as the boy took his position under the great pine tree and his men set the ambush. Musashi chose his timing well, emerging in the very middle of the Yoshioka trap, he quickly cut the boy down, instantly ending the Yoshioka School. Within moments, the Yoshioka disciples were falling over each other in an effort to bring down their single enemy. Greatly outnumbered, Musashi fought his way out of the ambush in a manner unseen by the samurai of the time. He held his katana long sword in his right hand, and companion sword, the wakizashi, in his left, and so used both swords simultaneously to cut his way out of the Yoshioka throng. It was a style based on his fathers’ teaching with the Jitte, using the short sword to block the opponents’ blade, allowing a decisive cut be made with the main sword. This style was to be known as Enmei Ryu, later the Nito-Ryu and Niten Ichi style of swordsmanship. 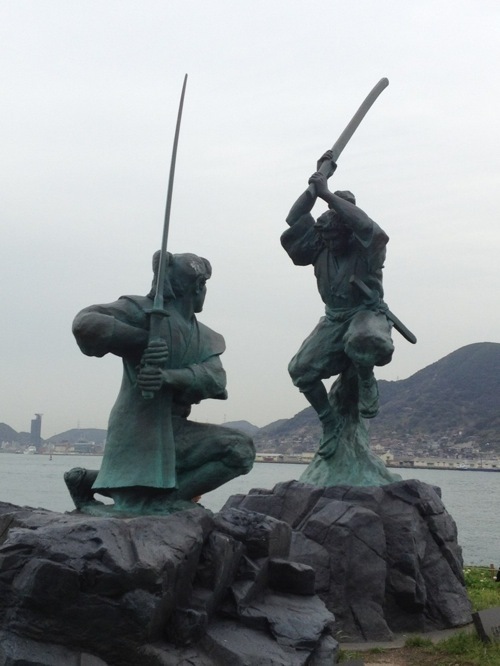 Musashi’s greatest duel took place on the morning of April 13, 1612 against Sasaki Kojiro. The two arch-rival swordsmen, Musashi and Kojiro had agreed to meet on the island at 8am, however Musashi failed to arrive until a little after 10. As he was being rowed to the small island, Musashi is said to have fashioned a wooden sword from an oar, with the intention of fighting with that, instead of a real sword. As his boat approached the shore, Musashi nimbly jumped out into the knee deep water and faced Kojiro. The story goes that Kojiro snarled, “You’re late!” drawing his oversized sword and angrily casting the scabbard into the water. “You’ve lost,…” answered Musashi. “What makes you think that?” spat Kojiro moving menacingly forward. “If you were going to win, you’d need your scabbard again later,” answered Musashi calmly striding out of the water and onto the beach, holding his carved oar behind him. With a roar, Kojiro supposedly made the first move, and in an instant Musashi struck him down. Rumor has it that as Kojiro slumped to the ground dead, Musashi’s headband fell away, sliced by Kojiro’s near fatal cut, although this part is most probably a creative modern-day addition to the narrative. Musashi then bowed to the official witnesses, returned to his boat, and was rowed away. 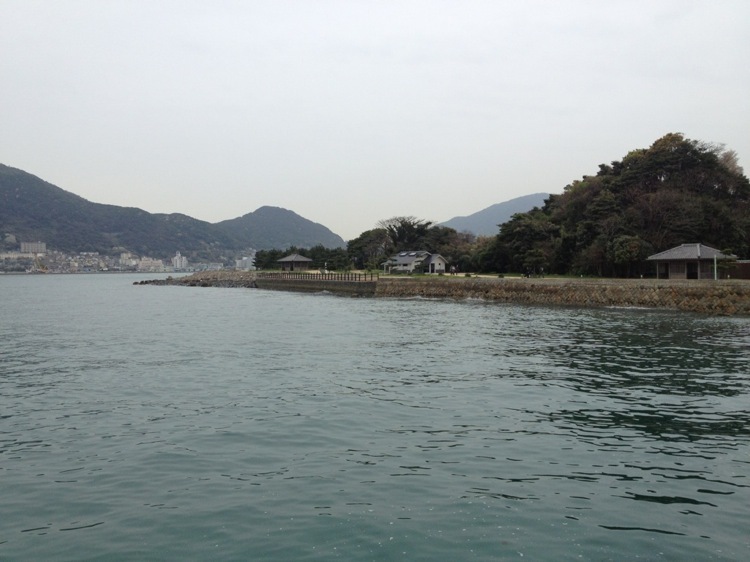 It is believed Musashi was taken to a small castle that once stood on the opposite side of the channel overlooking the site of the Battle of Dan no Ura in 1185. From then, Musashi continued to travel the country, teaching his two-sword style of fencing, but never again using a real sword in combat, preferring to use just a wooden bokuto. 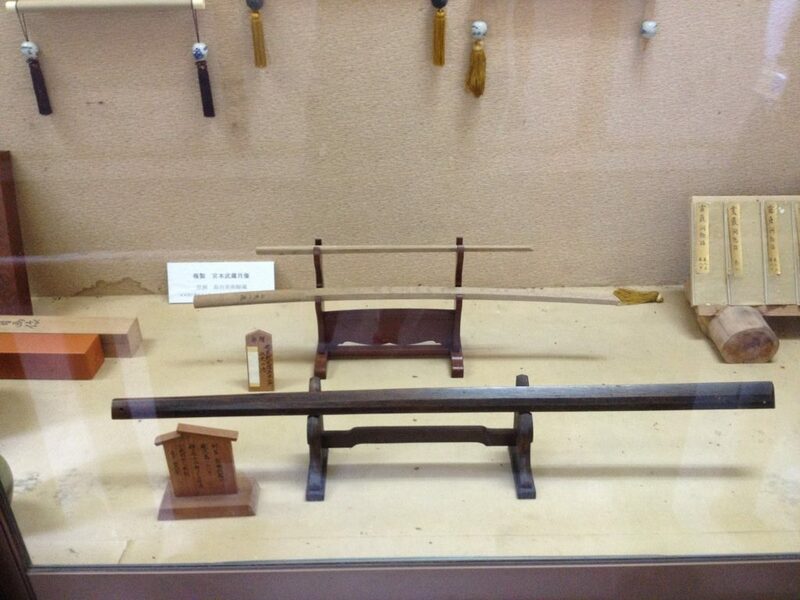 One of two wooden swords claimed as the one Musashi used against Sasaki Kojiro at Ganryujima. This one is in Kyushu, the other is kept in Nagoya. Musashi is said to have participated at the winter and summer Seiges of Osaka, although little evidence as to which side he served remain, it seems as though he served the Tokugawa. 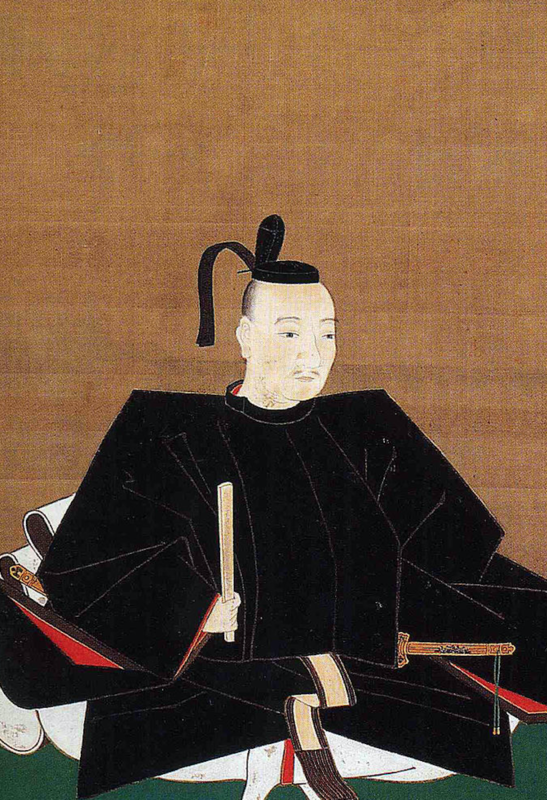 In 1615, he assisted the Ogasawara clan in the development of Akashi Castle and its gardens. From circa 1621, Musashi put his talents to work developing the layout of Himeji town. 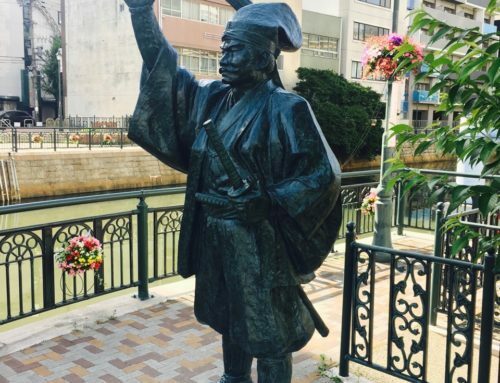 In the late 1620’s Musashi visited Nagoya (Aichi Prefecture) seeking employment with the Owari Tokugawa clan, meeting and having bouts with Lord Tokugawa Yoshinao, who permitted him to establish a dojo teaching his Enmei Ryu in Nagoya, which lasted until the mid Meiji period. Some 3,000 samurai of Nagoya Castle attended lessons at Musashi’s dojo during those first four years. 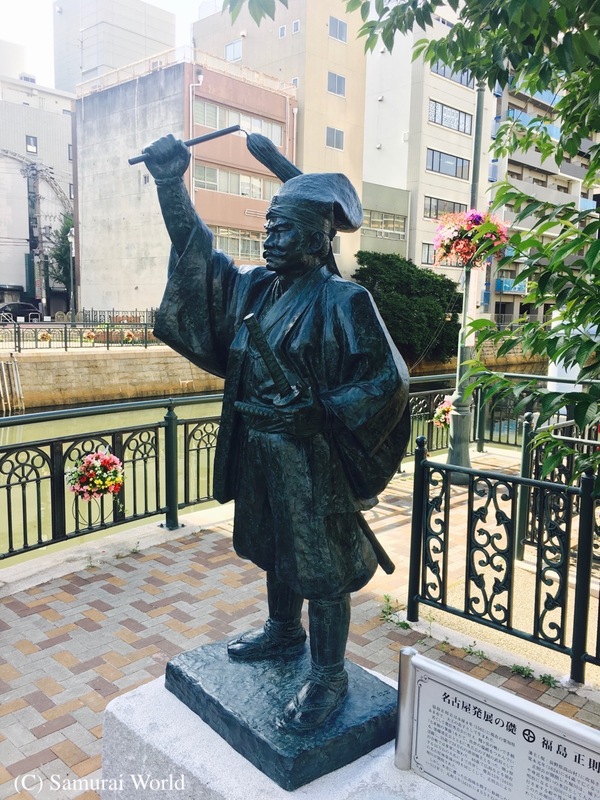 Musashi then relocated to Kokura (Kitakyushu) serving the Ogasawara clan, and seeing initial action in the Shimabara Rebellion, during which he was injured by a rock thrown by the enemy. He would later be employed by the Hosokawa clan of Kumamoto Castle, where he spent his final years as a sword instructor and advisor to the clan. 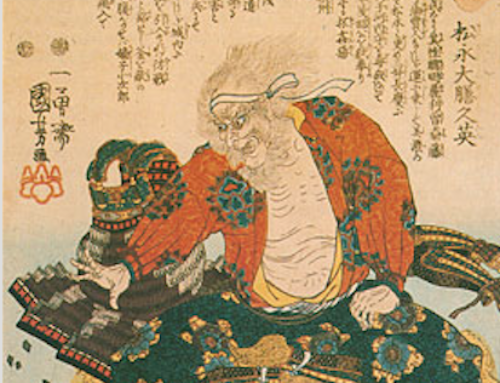 In 1543, suffering from suspected neuralgia or sciatica, he retired to the Reigando, a cave outside of Kumamoto, and wrote his treatise on strategy known as the Go-Rin-no-Sho, or the Book Of Five Rings. 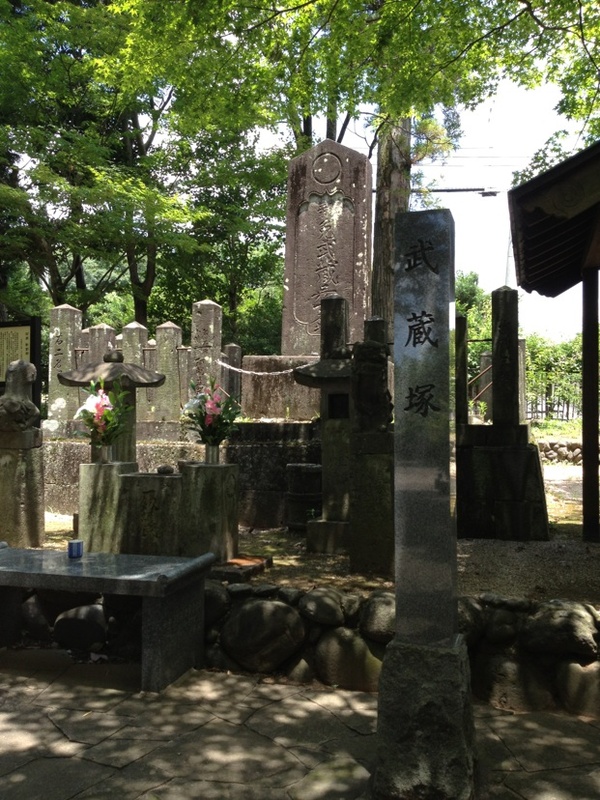 Not long after completing this and the Dokkodo, (The Way of Going Alone) a short treatise on leading an ascetic life, Musashi died aged 60 of what is believed to be thoracic cancer, on June 13, 1645 in Kumamoto. 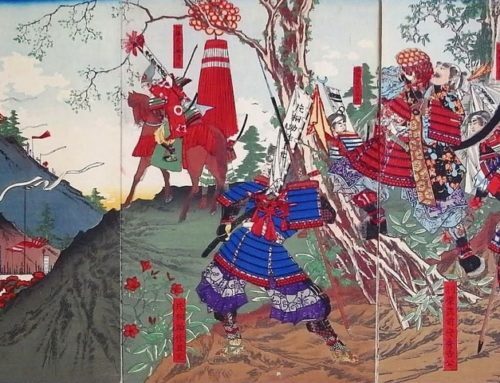 His body was interred upright in armor, with his hand on the hilt of his sword, and facing the road used by the lords of Kumamoto so that he may see them off on their trips to Edo, and be waiting to welcome them home. Strands of his hair were buried on Mt. 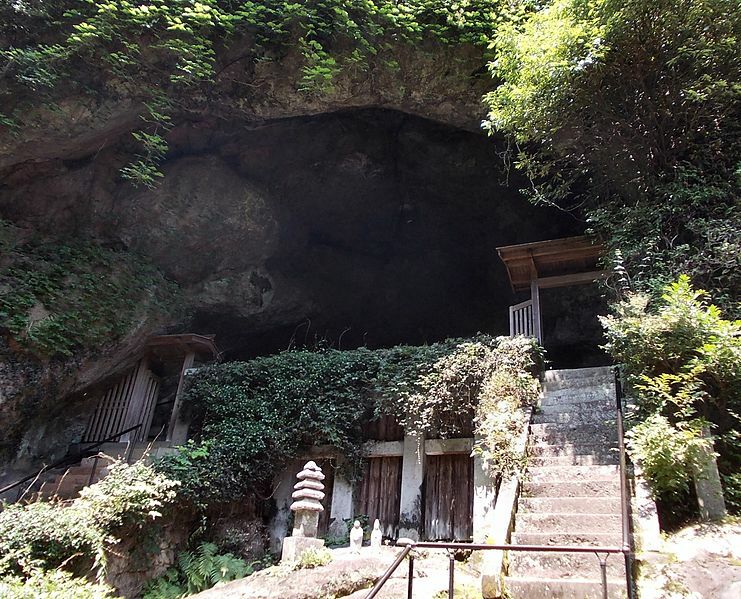 Iwao, where the Reigando Cave is located, and other remains sent to his birthplace in Mimasaka. Musashi was said to have been unclean and unkempt. This was a character assassination, and probably due to a skin discoloration resulting from a form of eczema. This same problem may well have been the cause of the rumor that he never bathed lest being caught out unarmed. 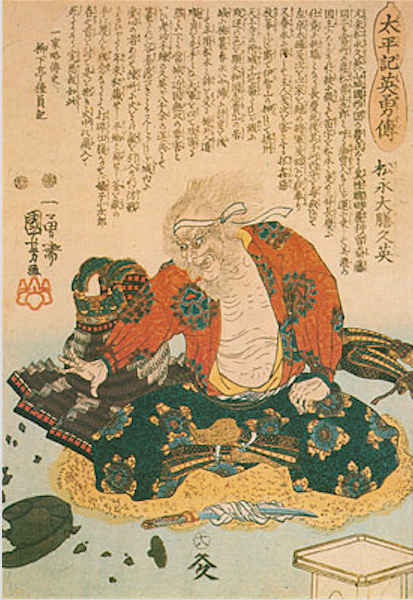 While this is possible (see Minamoto Yoshitomo) it is implausible, as a warrior to have been unkempt, particularly if he was to be in the company of a number of daimyo and aristocrats. His abilities to fight with two swords simultaneously, and also to have been able to write and paint with both hands (a hanging scroll maintained in a temple in Nagoya is said to have been written by Musashi with two brushes, one in each hand, at the same time.) leads me to believe he was also highly ambidextrous. Miyamoto Musashi remains an inspiration to many across the world.